When Prospect Park was first designed in the 1860s, it had bridle paths for carriage drives. Horses were part of everyday life, and Prospect Park was designed to accommodate them. More than a century later, horses are no longer part of everyday life. 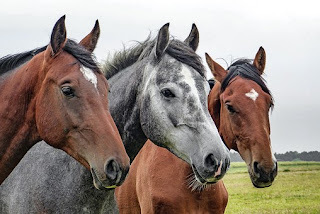 There's only one stable in the Prospect Park area-- Kensington Stables-- but luckily, it offers many family-friendly activities, including pony rides and parties for young children, a teen horsemanship program, trail rides and horseback riding lessons. Visiting Kensington Stables is a great way to combine outdoor fun and exercise!